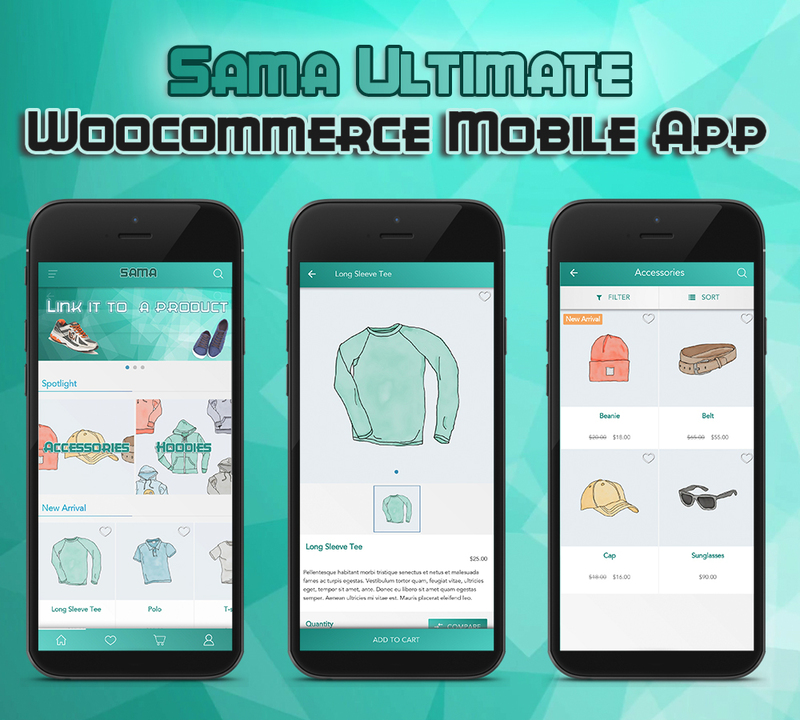 Sama Ultimate Woocommerce Mobile Application is a hybrid mobile app solution developed in Framework7, it will provide you with a mobile application for your Woocommerce website with ultimate features and friendly UI! It is built on cordova therefore you can deploy it to any platform (IOS – Android .. etc) with no effort! Increase your sales by providing a powerful app to your customers, Purchase now and get your new mobile app ready for your customers in less than half an hour! Compatible with latest Wordpress and Woocommerce. Fully responsive and compatible with Android – Iphone – Ipads and all tablets. Fully compatible with IPhone x.
Plug it with your current Woocommerce website and you are ready to go! No need for Woocommerce API to be enabled. Not dependant on any other plugin. 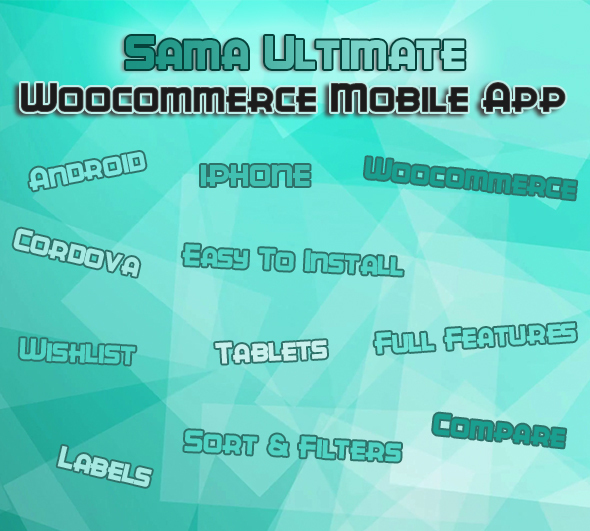 Just upload the Sama Ultimate Wordpress Plugin and you are good to go! Very easy setup and customization! Product Labels (Sales – New arrivals – Custom labels). App Menu is added and managed directly from Wordpress native menus! Supports Cash on delivery orders, can be integrated with payments gateways. Will have regular updates and continious non-ending features added based on your feedback and opinions! Test it now on your device!